No surprises here: Amazon has renewed their Golden Globe-winning dramedy The Marvelous Mrs. Maisel for a third season. Variety reports that the show, which comes from Gilmore Girls' Amy Sherman-Palladino, has already been renewed, despite the fact that its second season hasn't premiered yet. 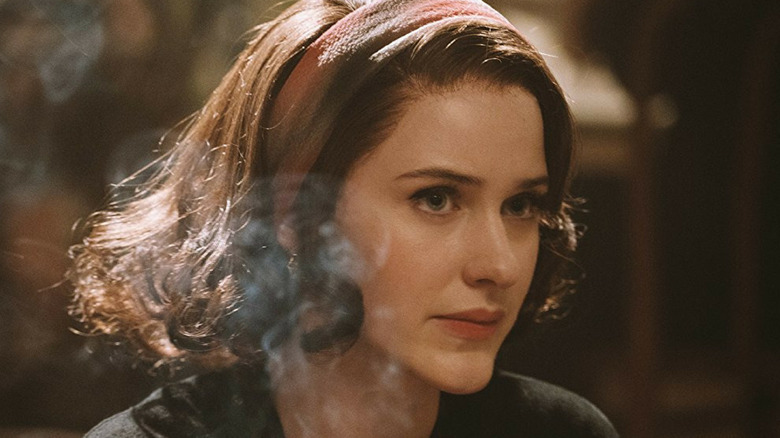 The show stars Rachel Brosnahan as Miriam "Midge" Maisel, a 1950s housewife whose life is thrown for a loop when her husband Joel (Michael Zegen) cheats on her. With her marriage in shambles, Midge turns to stand-up comedy, emerging as a new voice on the entertainment scene with the help of her manager Susie (Alex Borstein). However, she keeps her new career a secret from her uptight parents (Tony Shalhoub and Marin Hinkle), leading to conflict at home. The show's first season was lauded by critics, earning a 96 percent critics rating on Rotten Tomatoes. The show has also already received quite a lot of awards season attention, winning the Golden Globes for Best Television Series — Musical or Comedy and Best Actress for Brosnahan. The series also won the Critics Choice Awards for Best Comedy Series and Best Actress for Brosnahan, and earned a Supporting Actress nod for Borstein. Amazon initially ordered two seasons of the period show, but Sherman-Palladino announced that it had been renewed for a third while accepting the prestigious Peabody Award. "You're going to give it to us because we're bringing home the fancy thing, right?" Sherman-Palladino joked during the ceremony. Amazon Studios head Jennifer Salke confirmed that that was, indeed, the case after the ceremony concluded. The third season is expected to be made up of 10 episodes. The Marvelous Mrs. Maisel will return for season two later this year.